Queen Sofia, known for her love of animals, has decided to bring a new companion home to Zarzuala Palace — an abandoned dog named Paquita. 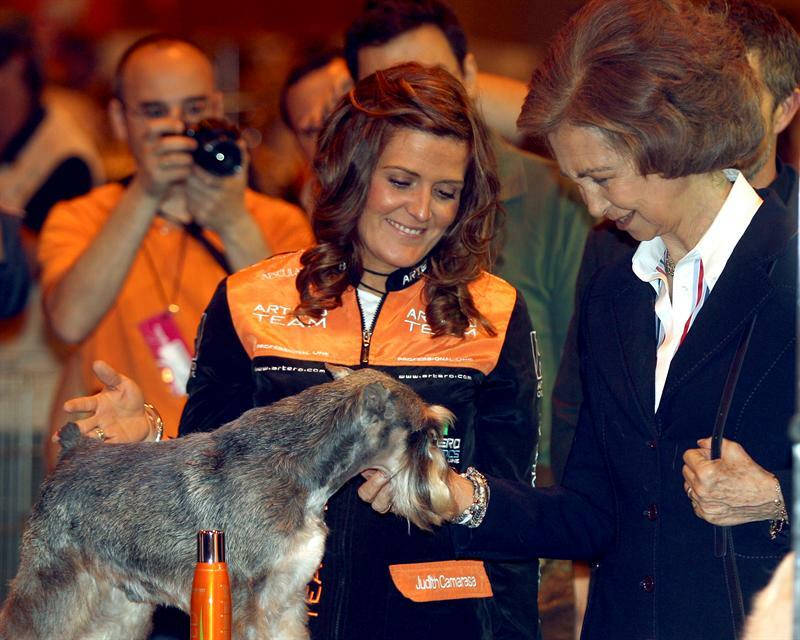 Her Majesty fell in love with Paquita during a visit to an animal fair in Madrid on the 26th. Click here to read more in Hola. 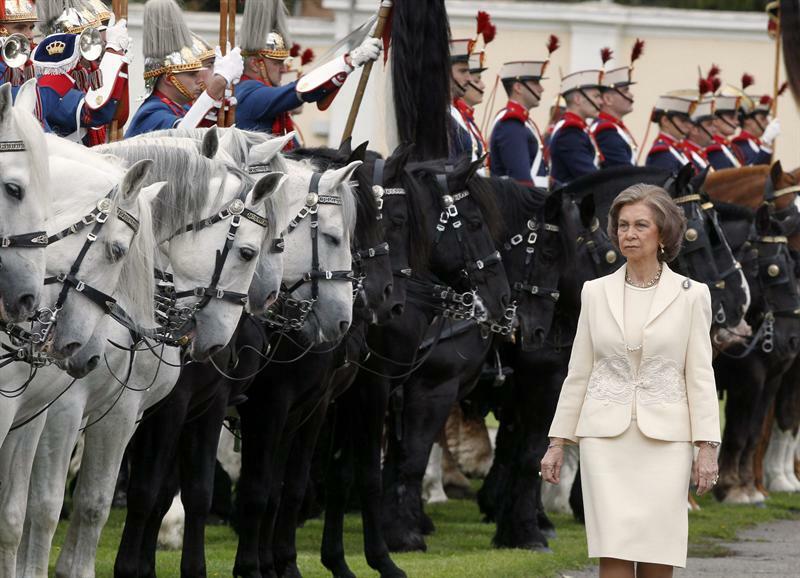 The Partido Popular and the Socialists have rejected calls for more cuts to the Spanish Royal Household, El País reported yesterday. 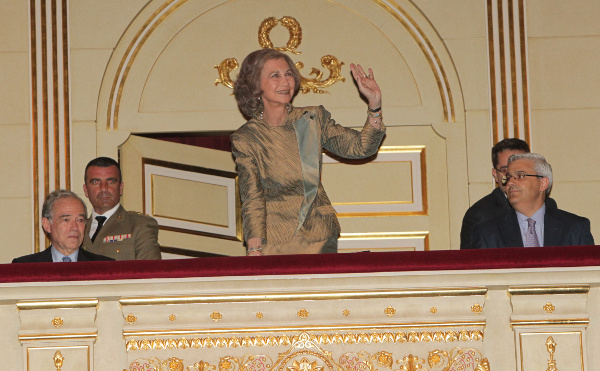 Queen Sofia at the opera. Two minority parties, including anti monarchists, say 8.26 million euros is too much money to pay for head of state operations. But Household defenders say Spain has the cheapest head of state system in Europe. 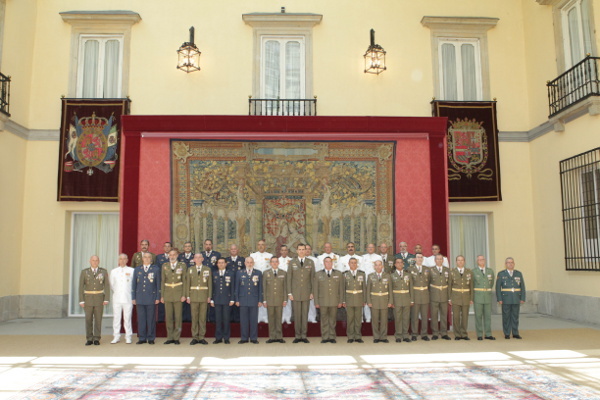 Prince Felipe meeting with military officials. The 8.26 million euros assignment for 2012 is 2 percent less than 2011. Florida Gov. 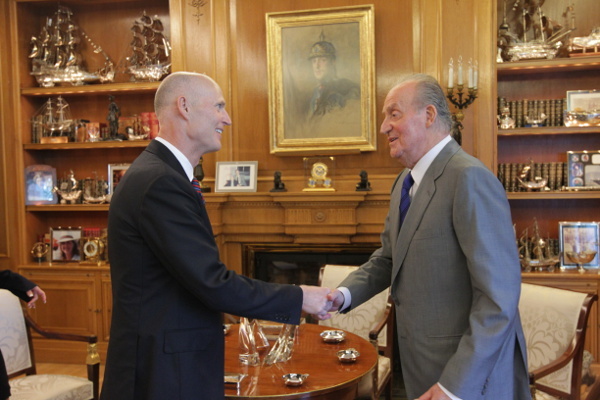 Rick Scott (R) met with King Juan Carlos today at Zarzuela Palace. 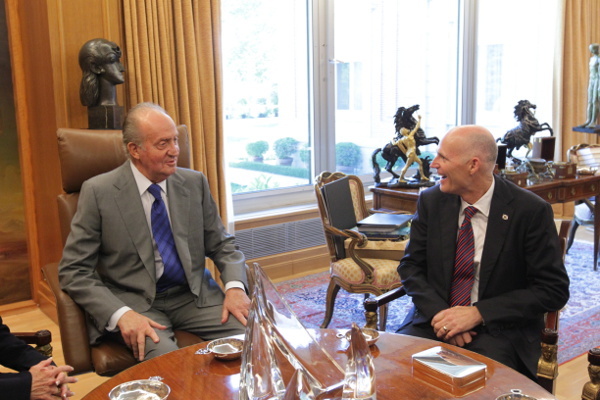 The governor is in Spain trying to strengthen business ties between that country and his state. The Governor’s wife, U.S. Ambassador Aland Solomont, an official with Enterprise Florida Inc., and others were at the meeting, according to the Royal Household. Don Juan Carlos and Gov. Scott also discussed the upcoming 500th anniversary of Juan Ponce de León reaching Florida. The constitution allows for the use of other historic titles pertaining to the Spanish monarchy, without specifying them. 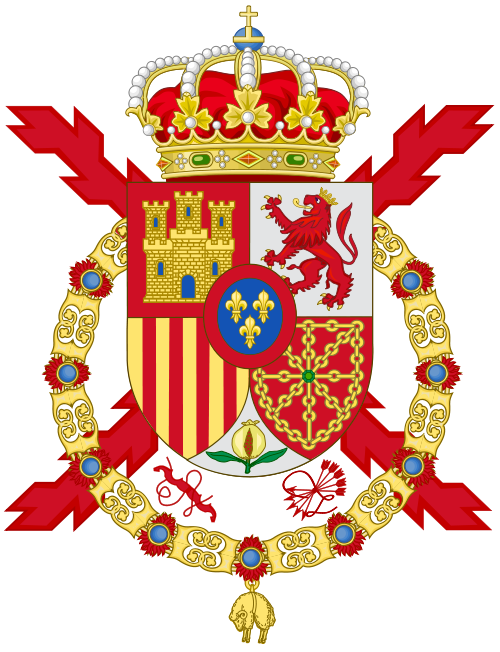 A decree promulgated 6 November 1987 at the Council of Ministers regulates the titles further, and on that basis the monarch of Spain has a right to use (“may use”) those other titles appertaining to the Crown. Contrary to some belief, the long titular that contains the list of over 20 kingdoms is not in state use, nor is it used in Spanish diplomacy. In fact, it has never been in use in that form, as “Spain” was never a part of the list in pre-1837 era when the long list was officially used. This feudal style was last used officially in 1836, in the titulary of Isabella II of Spain before she became constitutional Queen. Therefore, the King’s titles include King of Jerusalem, of Castile, of León, of Aragón, of the Two Sicilies, of Navarre, of Granada, of Toledo, of Valencia, of Galicia, of Majorca, of Seville, of Sardinia, of Córdoba, of Corsica, of Murcia, of Menorca, of Jaén, of Gibraltar, of the Canary Islands, of the East and West Indies, and of the Islands and Mainland of the Ocean Sea. 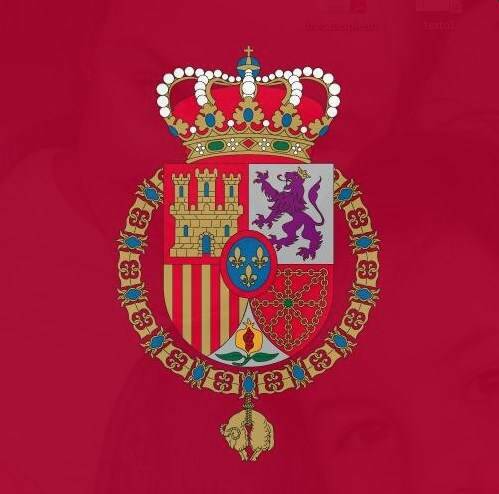 Arms of King Juan Carlos. Also, Archduke of Austria, Duke of Burgundy, of Brabant, of Milan, of New Patras, Count of Habsburg, of Flanders, of Tyrol, of Roussillon and of Barcelona. Plus, Lord of Biscay and of Molina. It is important to remember that modern Spain is a combination of several Kingdoms. Plus, the Spanish Monarch has at different times in history controlled land and interests well beyond the Iberian Peninsula. The King of Spain was once also Holy Roman Emperor. However, it is the Duchess of Alba who has the most aristocratic titles. Media reports indicate that Cayetana Fitz-James has 44 noble titles and 150 hereditary ones. 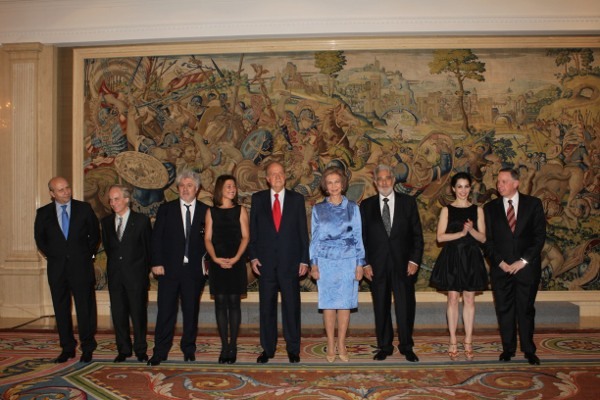 King Juan Carlos and Queen Sofia handed out Kennedy Center for the Performing Arts gold medals to several Spanish luminaries today at Zarzuela Palace just outside Madrid. 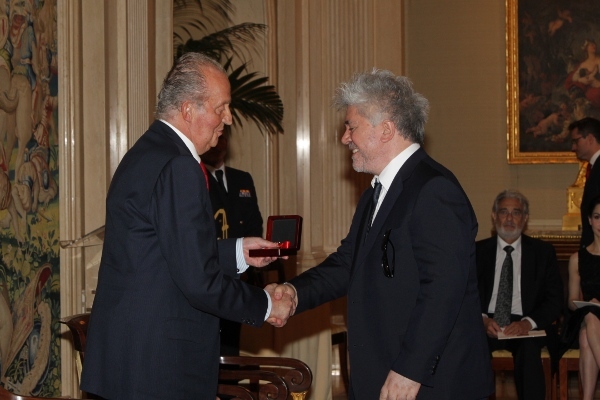 Recipients were tenor Plácido Domingo, filmmaker Pedro Almodóvar, Tamara Rojo, Sara Baras and Paco Peña. King Juan Carlos and Almodóvar. Queen Sofia has cancelled a planned trip to London on Friday because of tensions between the Spanish and British governments over the disputed colony of Gibraltar, media reports indicate. Specifically, the Spanish government has expressed displeasure over British Prince Edward’s visit to Gibraltar to mark Queen Elizabeth’s Diamond Jubilee. Queen Sofia’s visit to England was also connected to the celebrations. Both Queen Sofia and King Juan Carlos have family and friendship ties to Queen Elizabeth. Also, Queen Sofia’s brother, former Greek King Constantine, is Prince William’s Godfather.